Currently we are not selling this product. You can buy Solunate Multi-Purpose 2 x 50 ml with cases travel pack instead. Horien Ultra Comfort is a multipurpose solution designed for soft contact lens care. Thanks to its components, it has great cleansing qualities, it rinses, disinfects, lubricates, moisturizes and is ideal for safe contact lens storage. The solution is also suitable for sensitive eyes because its pH value is close to that of real tears. The Horien Ultra Comfort versatile solution destroys dangerous bacteria and removes all protein deposits that accumulate on the lens during the day. It allows for contact lens cleaning without having to remove all debris mechanically. For disinfection without having to rub the contacts, you must leave the contacts in the solution for at least 6 hours. 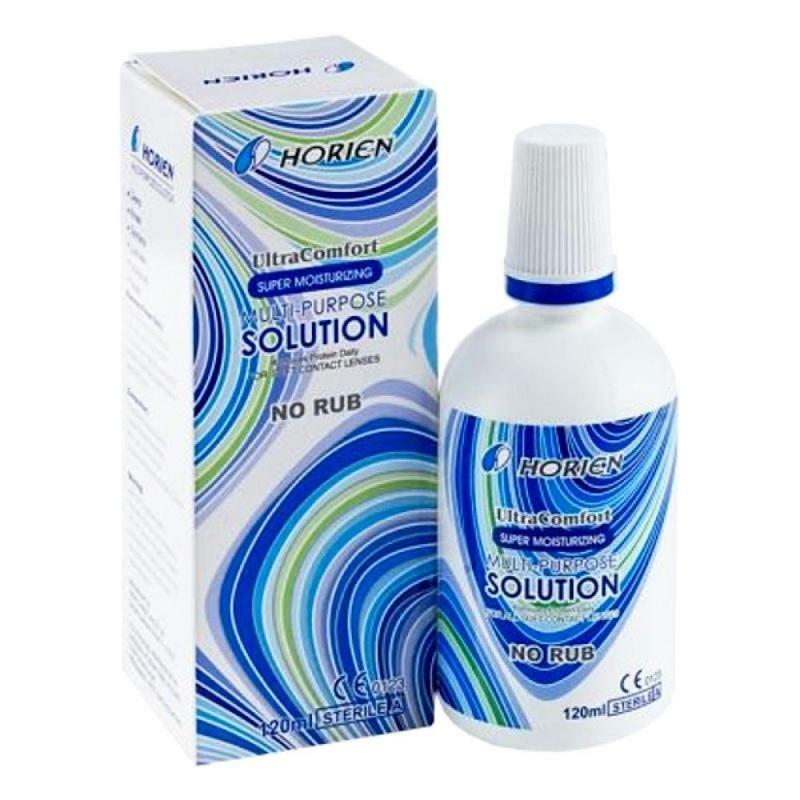 The special components of the Horien Ultra Comfort solution ensure all-day moisturisation and lubrication while the pH similar to real tears eliminates eye irritation.